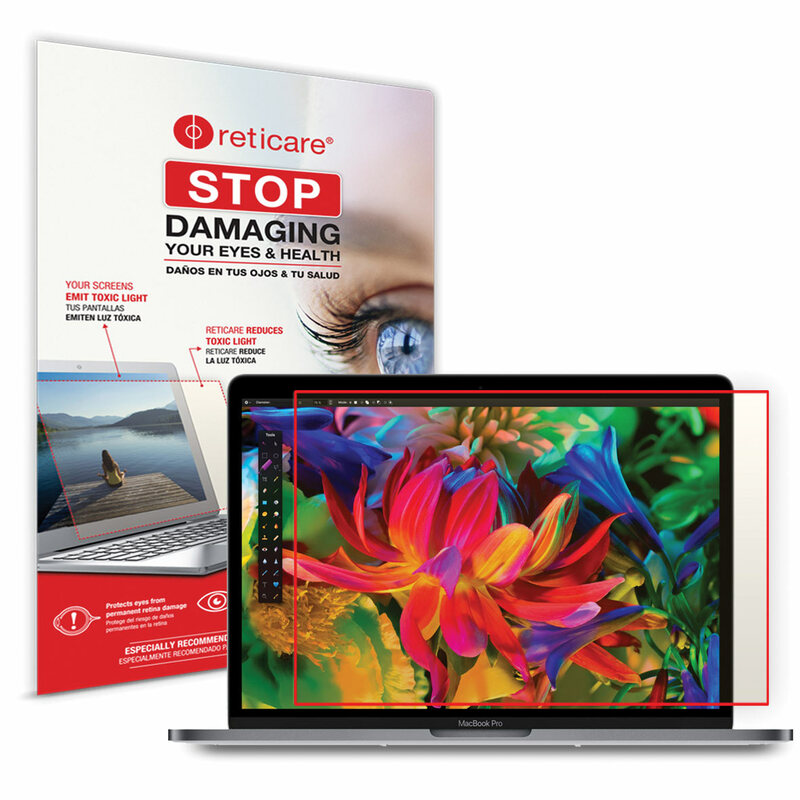 "Protect your eyes as well as your screen"
The Reticare Eye and Screen Protector for Apple MacBook Pro 15-inch - protects your eyes as well as your screen. The Reticare Eye and Screen Protector helps shield your eyes from the damaging HEV (High Energy Visible) Blue Light emitted by digital device screens and also protects your screen from scratches. It adheres to the screen and is touch sensitive for easy scrolling. Don't let those amazing digital devices that you and your loved ones love to use - for hours and hours a day - do harm to your eyesight or theirs. Reticare helps reduce the risk of eye strain; blurred vision; dry eyes; headaches; sleep disorders; and retinal damage, such as Macular Degeneration. Reticare is based on 15 years of research on avoidable blindness with 140 international scientists and experts involved. There are 350,000 users worldwide. Help preserve your vision by joining them. Reticare is a registered trademark. All rights reserved. Reticare Eye Protectors are CERTIFIED and sold only in select stores and websites. Beware of non-certified, counterfeit products that may resemble Reticare products but are manufactured and sold by some unknown company - they are not genuine Reticare Eye and Screen Protectors. For the best in eye protection, always buy real Reticare products. Includes: Wet Wipe, Cleaning Cloth, Spatula, and Quick Installation Guide.